Alright, everyone. You can go home. E3 2011 is a mainly bust besides Nintendo’s amazing Wii U. Microsoft added Bing to the 360 and Sony announced the name of the NGP, the Vita. Sure, there are several clever games like Battlefield 3, Modern Warfare 3, and several new Zelda games. But there really isn’t anything new per se here. It’s a bunch of rehashing of the same, I’m sorry, tired story lines. Of course E3 is still fun. Hell, it’s probably one of the most fun trade shows of the year. It’s wall-to-wall video games. Stick around if you must, but once you see the Wii U, you may as well head home because that’s the best as it gets here this year. The Wii U really is a big step down video game’s evolutionary path. There’s still a traditional console that sits under your TV. That isn’t gone yet. 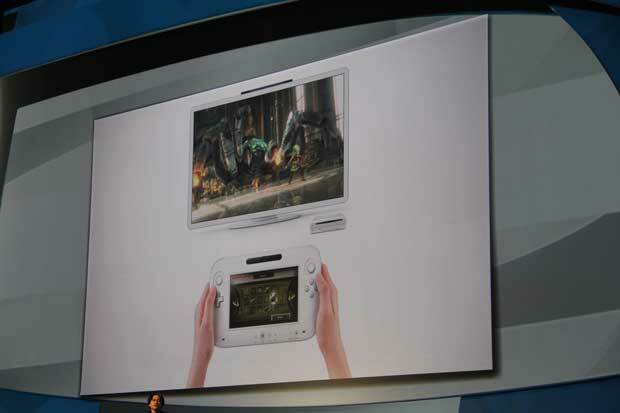 It’s the Wii U controller, with its 6-inch touchscreen and accelerometers, that pushes the system into the future. The Wii U is a next gen WIi in every way. The graphics are HD, the motion controls seem improved and the color touchscreen acts as a secondary screen with seamless endless uses. 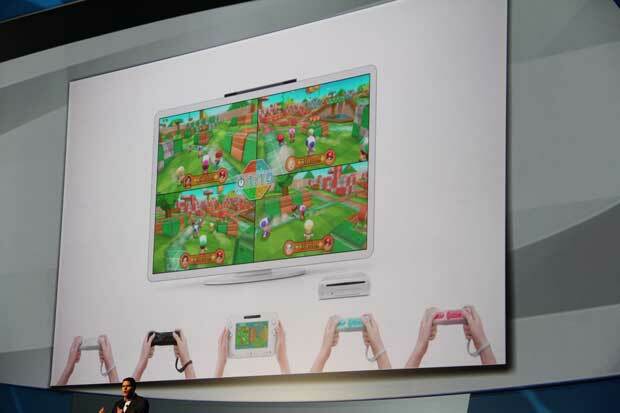 Nintendo demoed a dozen and a half use cases today during its presser. It can be scope for a shooting gallery, a tee for golfing, a video chat screen, inventory screen in Zelda (or other games). Clearly it’s going to open up a whole new world for developers and gamers alike. What interests me the most, however, is that this controller can replace a TV screen altogether. It’s not a portable; the controller still needs to be in range of the base unit. Say you’re playing Mario and the wife wants to watch Army Wives. 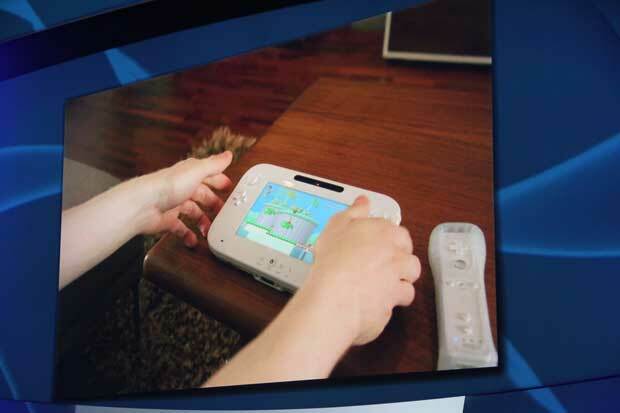 No worries, the Wii U will simply move the action to the controller’s screen, seemingly without any hassle or lag. Nintendo plans on releasing the Wii U in 2012, which leaves plenty of time for further refinement. A full demo wasn’t available here at E3, but rather tech demos like they had last year for the 3DS. These demos still use the novel controller, but they are nothing more than proof of concepts. In fact a few feel like they’re probably used to sell developers on the system, too. No matter, they’re visual proof that Nintendo Wii U is real and as awesome as it sounds. The Wii opened up gaming to non-gamers. I don’t feel like the Wii U has the same sort of magical ability. The Wii U seems like for Wii gamers, not non-gamers in general. However, thanks to the backwards compatibility with current Wii controllers the system shouldn’t have the same sort of learning curve and there easy for those familiar with the Wii to pick up and enjoy right away. Nintendo will likely slowly releases more tidbits of Wii U info until its 2012 release; they’re not going to let you forget about the console. No one here at E3 has forgot about it. It’s easily the best thing at E3 this year. Best of show? Yep. Quick note: The name is dumb. Wii U? Dumb.